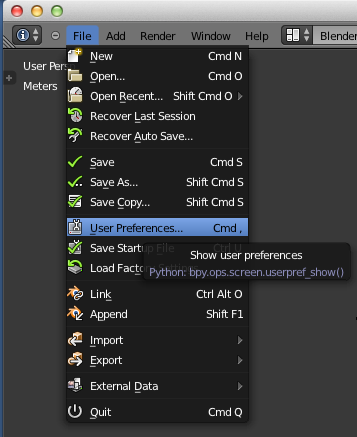 6) Click on Install from file and select the script. 7) Checkmark the script to the on postion. You are now ready to use Corrective Shape Keys. 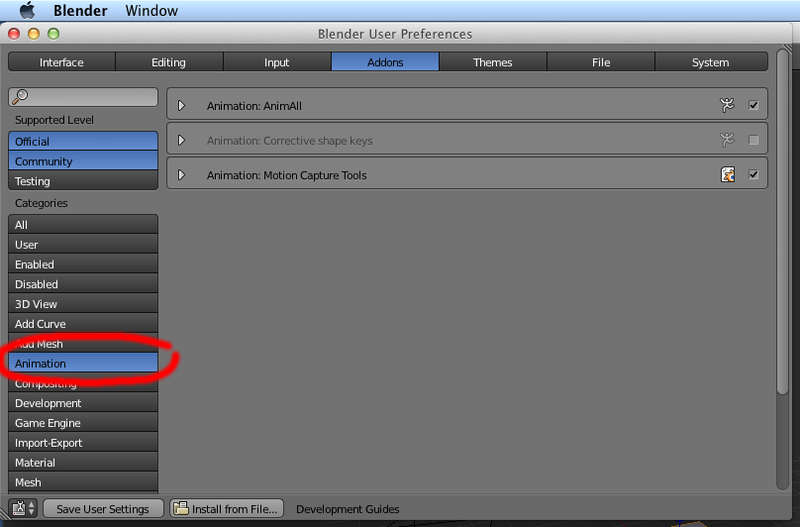 2) Turn off group under Export and export the main object. 3) Turn on the first 3D layer in the layer palette. 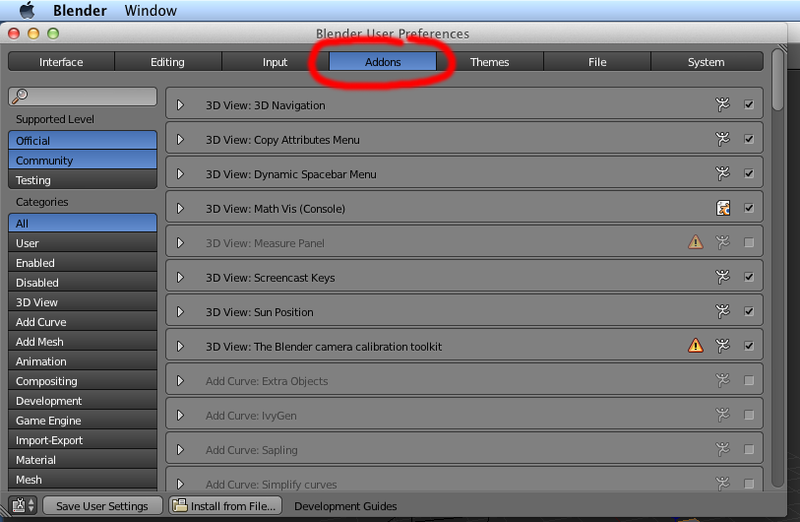 4) Export the obj with the applied layer using a different name. I name them after the 3D layer. 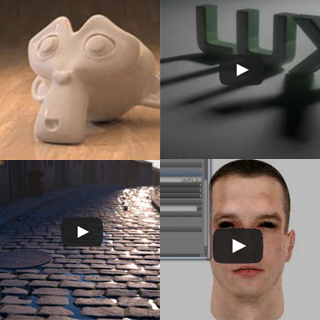 5) Turn off the selected layer, turn on the next 3D layer and repeat steps 3 and 4 until all layers have been exported. 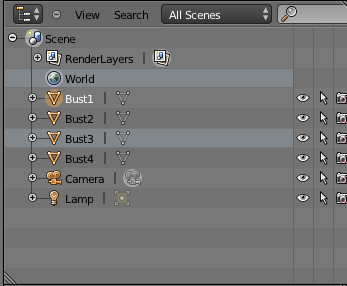 7) Import all the obj files. 8) Type B to do a box select then select all imported objects. Type CTRL A and select location then type CTRL A again to select rotation. 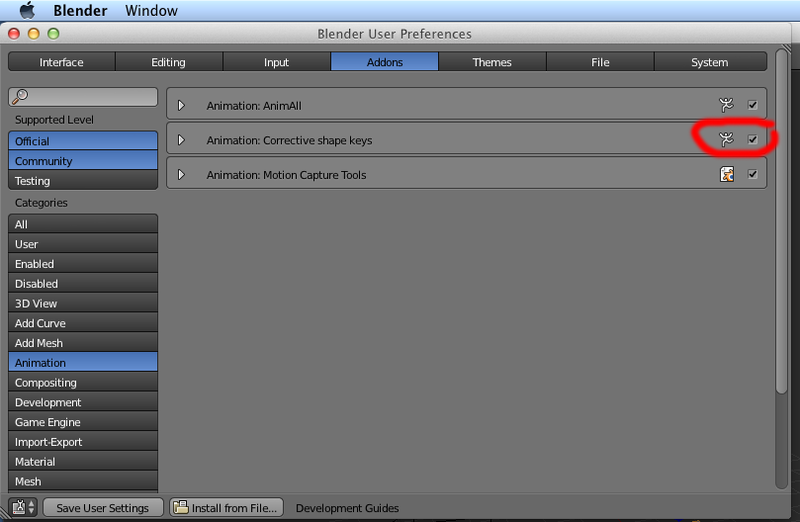 9) Select the base object using the Outliner. 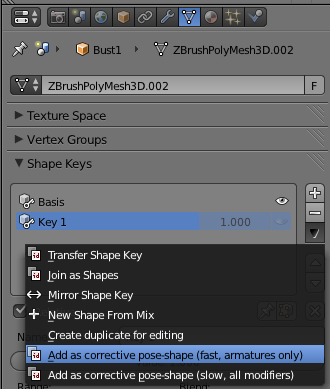 10) For the base object under Object Data > Shape Keys click the plus sign to add a new Shape Key called “Basis”. 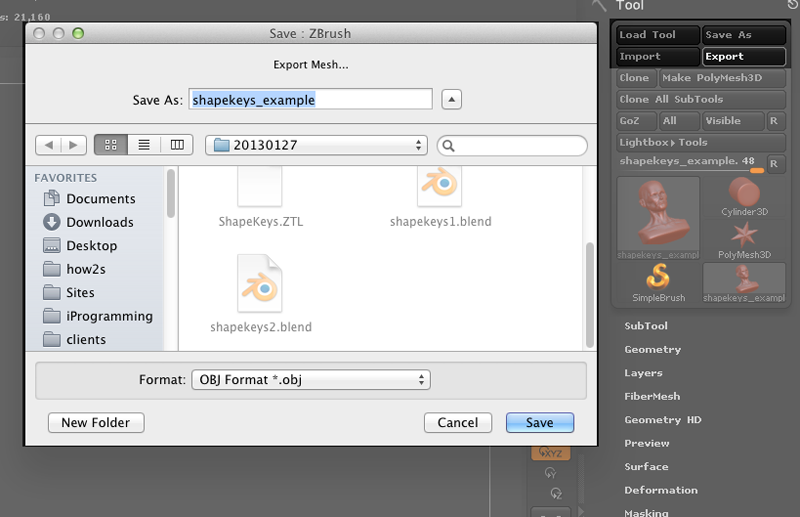 11) For each 3D layer obj, select the morphed object first then select the base object. Use the Outliner to do this selection. 13) A new shape key should have been added based on the name of the morphed object.n You can rename it as you see fit. Turn off the new shape key by clicking on the eye. 14) Click on “Basis” then repeat steps 9 to 12 for all the morphed objects.Please Not, if you miss the step, you will overwrite your previous shape key with the new one. You can now modify the geometry of your base object and the changes will be propagated to all the shape keys. 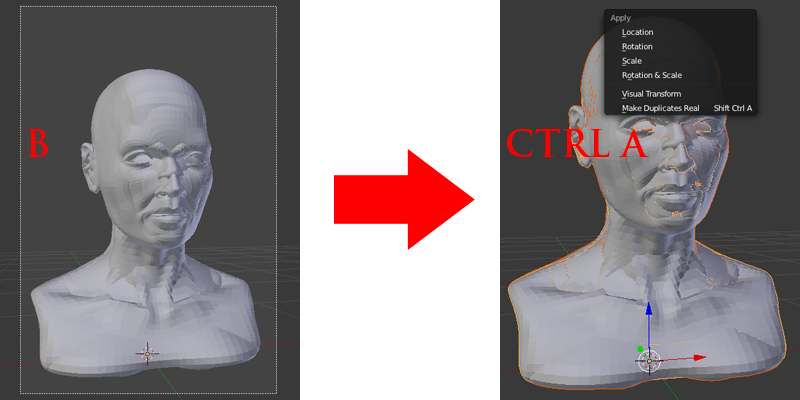 Unfortunately you cannot work in mirror mode to edit your topology so check both sides frequently with each edit. 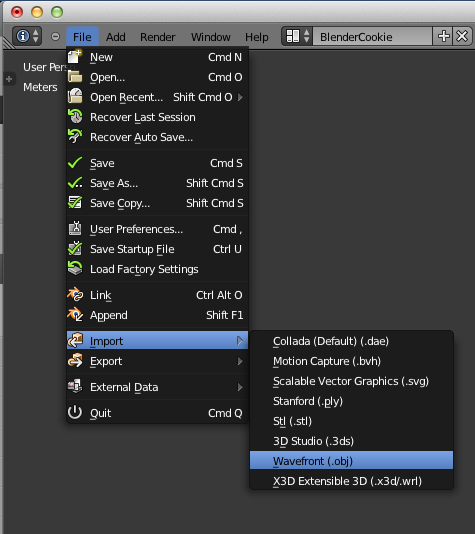 1) In Blender export the obj file with NO SHAPE KEYS APPLIED. 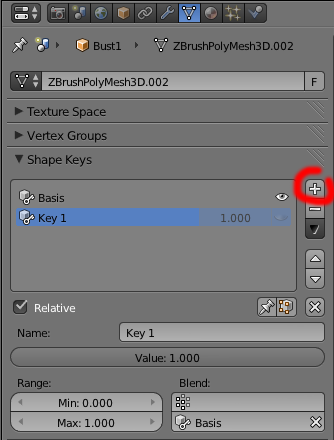 2) In Blender, for each shape key, turn on the shape key and export it as a new obj file. Turn it off after the export. 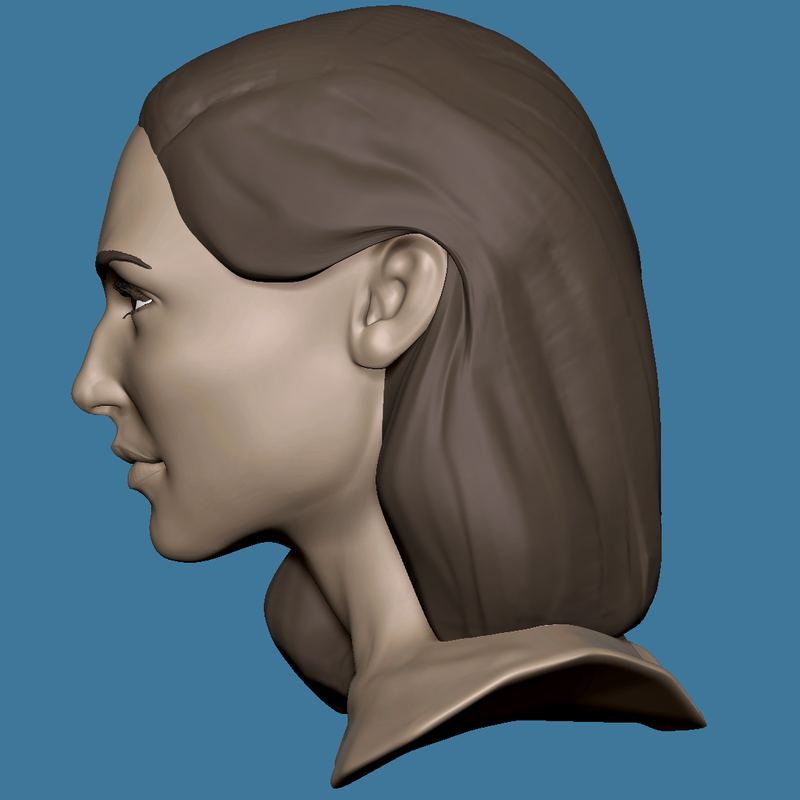 3) Once done exporting all the morphs, open ZBrush and import the base obj. 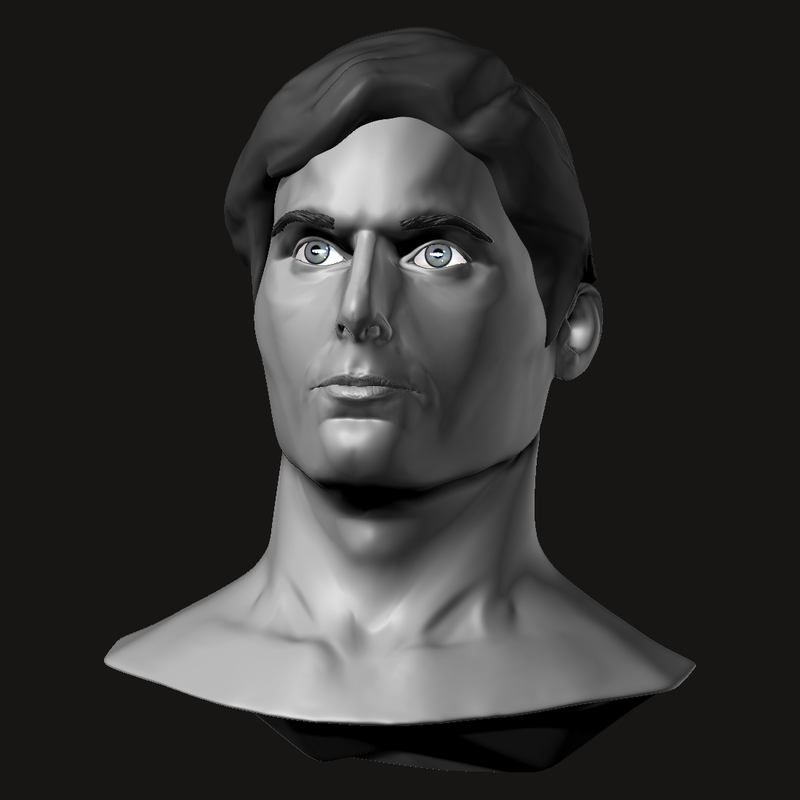 4) For each morph obj, add a new layer in ZBrush and keep it in record mode. 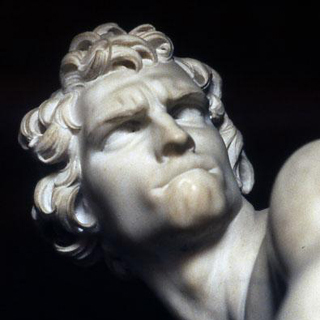 5) Import a morph. 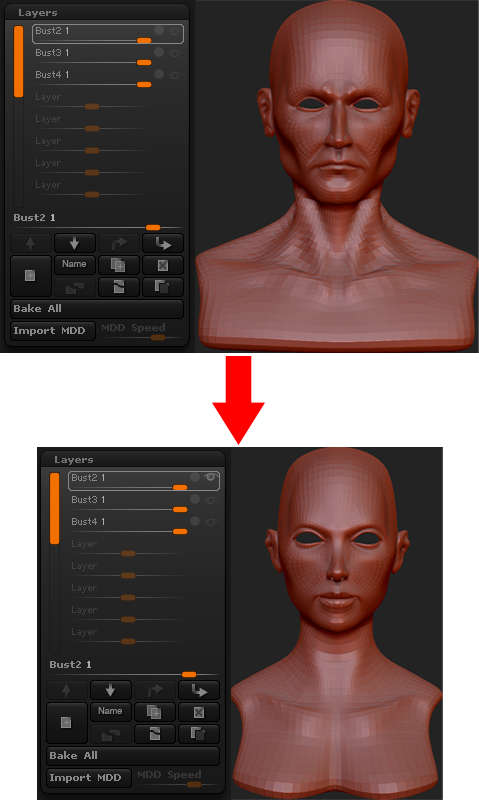 This automatically turns a morph object int0 a 3D layer. 6) Turn off record and click on the eye to hide the morph.